The Vivo Indian Premier League (IPL) Season 12 is about to begin and fans are eagerly awaiting the opening clash between MS Dhoni led Chennai Super Kings (CSK) and Virat Kohli's side Royal Challengers Bangalore (RCB) on Saturday, March 23 at the MA Chidambaram Stadium, Chennai, which will also host the final match. Fans are in for another exciting season as the eight teams will take on each other for supremacy in IPL 2019. Every season, old records are broken and new milestones created, including hundreds scored by batsmen. The IPL has seen a number of centuries scored by batsmen who have changed the definition of batting. Scoring a hundred in a T20 match is no small feat, but IPL has been fortunate to witness multiple special knocks. VIVO IPL 2019: Unbelievable Catches From the Past Seasons of Indian Premier League (Watch Videos). Over the years, the IPL has provided rich excitement to fans thanks to the competition between the bat and the ball (not forgetting the spectacular catches taken). VIVO IPL 2019: 5 Funniest Moments in the History of Indian Premier League. So far, 52 centuries have been scored in Indian Premier League's history, in all the 11 seasons. Brendon McCullum scored 158 not out in the very first match of IPL, on April 18, 2008. IPL 2019 Schedule Till May 5 Out: Full Time Table of Vivo Indian Premier League 12 League Stage Fixtures, Dates, Venue Details and Match Timings Announced. Chris Gayle holds the record for the highest score in a single innings of an IPL innings. The year 2018 saw five centuries scored overall, including one by Rishabh Pant. CSK's Home Venue Chennai to Host IPL 2019 Final on May 12. The above mentioned innings stand out not just for the speed of the knock but also for the quality of batting. Last year, fans got to see five scintillating hundreds, including the century in the final by Shane Watson that helped Chennai Super Kings win the title in 2018. 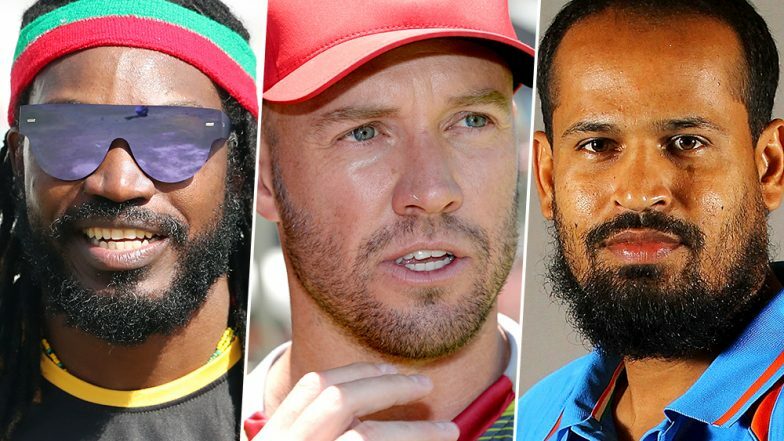 With the teams ready and players like MS Dhoni, Virat Kohli, Shane Watson, Chris Gayle, Rohit Sharma, and others in the reckoning, fans will definitely get to see explosive hundreds in the Vivo Indian Premier League 2019.